Murdair Mhám Trasna shortlisted at International online festival, Amsterdam Lift-Off Film Festival Online 2018. Returning to your screens this Thursday, Fíor Scéal will examine climate change and its deadly effects with the new documentary Disaster Diaries: 2017. Murdair Mhám Trasna has been shortlisted for International online festival, Amsterdam Lift-Off Film Festival Online 2018. This is a one week festival where you can watch online 13 films and among them is Murdair Mhám Trasna. 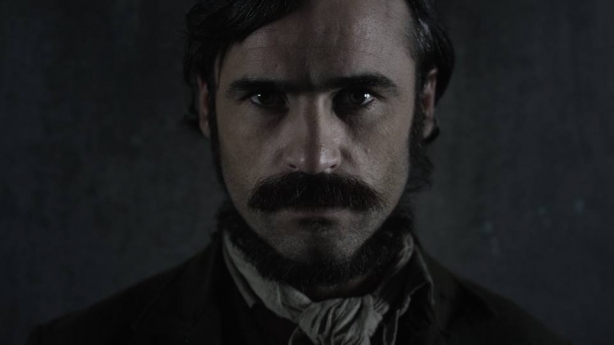 Murdair Mhám Trasna, a feature length film commissioned by TG4 and co-funded by the BAI, tells the story of the miscarriage of justice which ensued, due to perjury and bribery, after the brutal murder of five members of the same family in Mám Trasna in the West of Ireland in 1882, which eventually contributed to the fall of a British government. A posthumous pardon was granted earlier this year by President Michael D Higgins on the advice of Government to Myles Joyce [Maolra Seoighe] who was wrongly convicted on perjured evidence and the word of informers as a participant in the murders. Descendants of Myles Joyce are travelling from the USA for the occasion. Speaking of the festival producer Ciarán Ó Cofaigh said; “We are very proud to have Murdair Mhám Trasna (The Mám Trasna Murders) shortlisted at the innovative 'Lift-Off Film festival'. Although the events of our film happened in 1882 in a remote village in the West of Ireland, it grew as a story with national and international reverberations and lead to the fall of the then British Government. The festival starts today, October 1st and ends on Sunday 7th October. All 13 films selected for this festival are live on vimeo for one week, and can be watched from anywhere in the world. Help take us to the next level by voting for your favourite and second favourite film before the end of the week! The top voted films will be promoted to the final round on our own Lift-Off Community Platform, where members will go further in-depth and score the films based on multiple aspects. The short and feature film with the highest overall scores will both win an official selection for an upcoming Lift-Off Film Festival.